We are also bringing you other top content lists (like this one) that expand upon this theme even more comprehensively so that you can be sure you’ve absorbed the most knowledge and insight as possible in 2018, and start 2019 on the right foot with all of your processes and strategies. 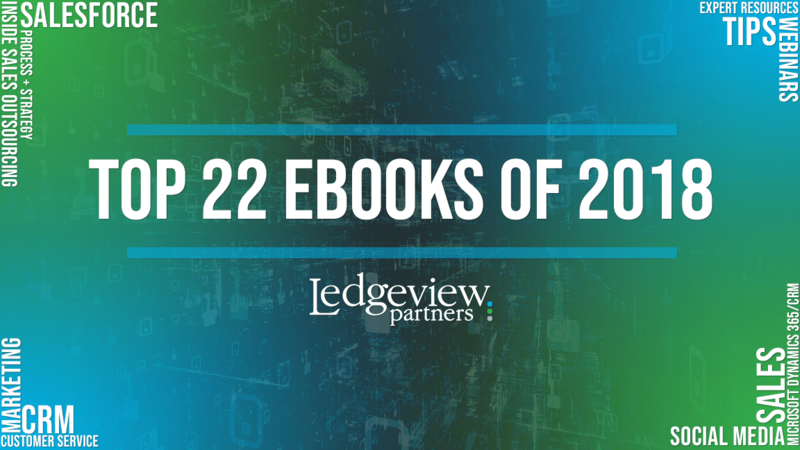 For this list, we have determined the most popular Ledgeview Partners eBooks of 2018 based on the CTR of each piece. We are excited to bring you this list of a variety of eBooks that we published in 2018 and look forward to hearing your feedback on these rankings! Organizations that do it well know that a well-defined sales process starts by successfully managing the sales team and pipeline. 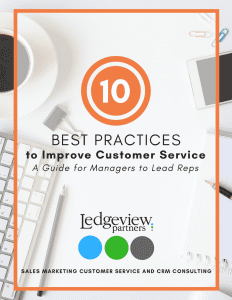 The most common problem Ledgeview Partners finds with lacking sales processes is lack of follow-through by employees and proper implementation by managers. These factors disable a company’s full potential. 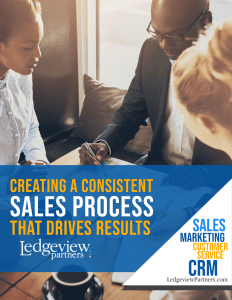 Within this eBook, we address these common pitfalls and more to help you move to advanced levels of sales process management. 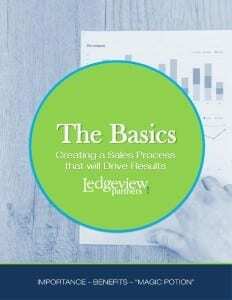 Once you’ve learned the basics of sales process management, you will be ready to move on to this exciting read from Ledgeview! When you find yourselves asking questions like: “How many strategies are there in a typical sales process, and how many should mine have?” AND “What are the most common sales process mistakes, and how can I avoid them?”, this eBook helps to answer your questions and provide more insight to help you create, maintain, execute, and evolve your organization’s most effective sales process yet. How we connect, communicate, understand, and relate to our customers is crucial. The in-depth analysis provided in this eBook will help you see what’s truly possible when you reboot your customer service program with more effective methodologies. Are your sales and marketing teams actually aligned? While you may be under the impression that they are, chances are, they are not or are not as aligned as they could be. Alignment should be consistent within your organization. 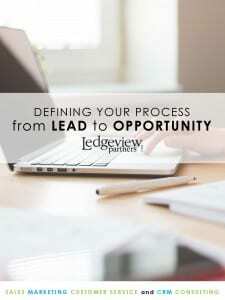 This eBook helps you to get your departments on the same page to drive success, all through defining your process from lead to opportunity. How do industry leaders within the Oil and Gas industry use CRM to drive efficiencies? We dive into every detail in this expert eBook guide! In the past, sales coaching was largely seen as something that only larger and more sophisticated organizations could benefit from and use, but, in more recent years, it has moved to organizations of various levels, industries, and experiences. In this eBook, we walk you through the keys to achieving sales coaching success and taking, not just your sales team to the next level, but your organization as a whole. When you’ve reached this phase in your CRM project, it’s time to celebrate, and read this eBook so you can properly address your employees’ concerns, create a structure and goal system, and become the CRM rockstars we know you’re capable of being! 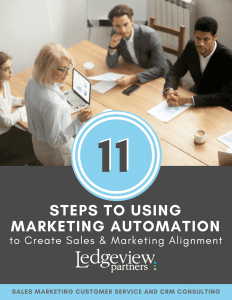 In order to create sales and marketing alignment so you can thrive with your marketing automation system and strategies, you must enter the process in the right frame of mind as a team and individuals. This eBook will help give you the motivation and technical know-how to start your path to alignment strongly. 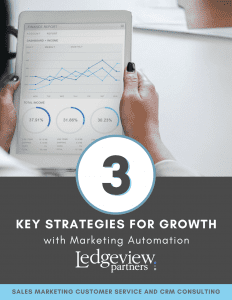 When it comes to setting yourselves up for success with marketing automation, you should strive to first achieve sales and marketing alignment, as we’ve mentioned in other snippets within this post and throughout a variety of content on the website. Once you’ve got your teams on the same page, you can develop a process and strategy to really get going with your technology. Read this eBook to help build your foundation for success with your marketing automation system. Are you ready to accelerate the buyer’s journey with more ease and effectiveness? Lead scoring plays a huge role in achieving this! 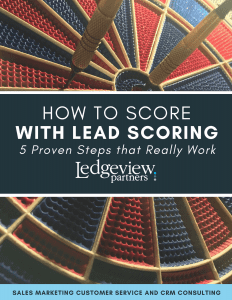 This eBook will help you score with lead scoring, with five proven steps. 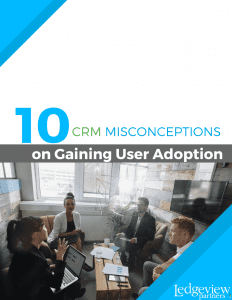 A huge part in gaining continuous user adoption is debunking common myths and misconceptions that may lead your users astray if you don’t address them. Before your CRM implementation, you’ll need a killer preview to present to your employees about why your organization is implementing CRM, the benefits, etc. As part of this preview, you should strive to think from their frame of mind, addressing potential concerns they may have about using the system, adopting it, growing with it, handling technical errors, and more. This eBook will help you address some of the most common user concerns and misconceptions. The marketing automation technology one organization uses may not be as effective for another. Why? Because no two organizations are exactly alike! 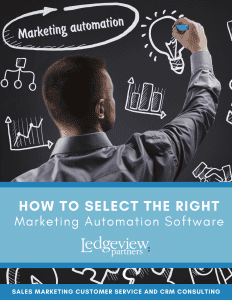 This eBook helps provide the framework for you to select the right marketing automation software for your organization. Get the help you need when it comes to considering core features, costs, and limitations, and to ensure your system comes equipped with everything you need to be successful. Though all marketing automation technology is different, the concept for setting up lead nurturing campaigns within varying technology follows similar trends across industries. With lead nurturing, your aim should be to develop a series of actions and communications based on behaviors. 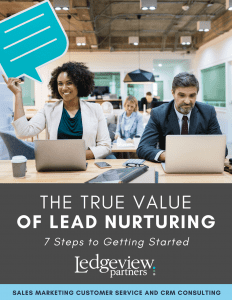 We provide 7 steps to getting started with your lead nurturing strategy in this expert guide. You’re already a process master, though you may not know it yet! 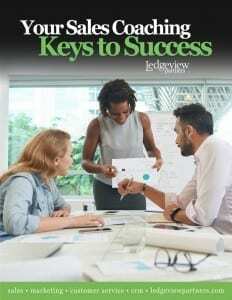 Within this eBook, we show you how to apply your knowledge to your professional processes in the most optimized fashion. Though CRM can be an amazing and essential asset for companies, it can also be easily misused or disregarded. This simple guide will walk you through how to properly talk about and prepare for your CRM system before your big rollout day. Do you ever get email messages from companies or brands that you feel don’t directly relate to your job or responsibilities? This is a result of failed lead segmenting! 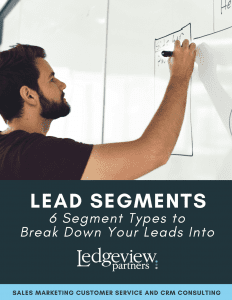 Avoid this marketing automation faux-pas when you read this Ledgeview Partners eBook, with 6 helpful segment types to help you get started. 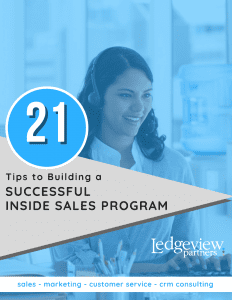 When you understand the role an inside sales program can have within your organization, you can begin to identify the facts around what makes it successful. Once you’ve gotten your CRM users on board, off the dock and shipped out, it’s time to keep them going steadily! How do you do this? By applying motivation, encouragement, training, and coaching to keep your team gaining continuous user adoption. 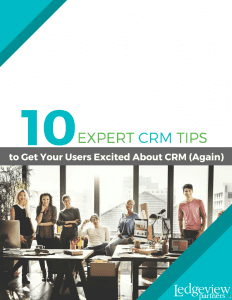 The expert CRM tips shared in this eBook will help you do this for a long time to come! 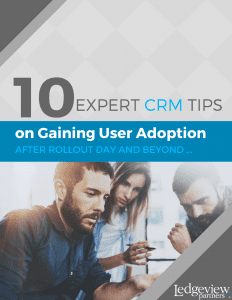 User adoption helps to increase customer retention rates, employee job satisfaction and fulfillment, and create more effective day-to-day business practices, among other key benefits. Learn how to gain continuous CRM user adoption with one of the leading CRM systems on the market today, Salesforce! 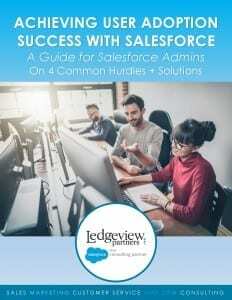 Ledgeview Partners has worked to help a variety of organizations of different business sizes implement Salesforce, as a Salesforce Silver Consulting Partner. 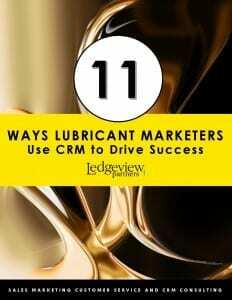 CRM is a discipline. Users must be logging in, using its functionalities, understanding its updates, and engaging in consistent training, among other educational tactics to keep up the moment. 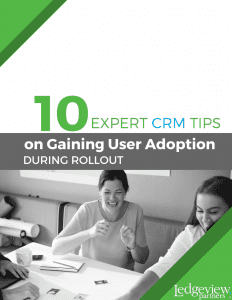 But, what do you do when CRM user adoption goes down to a point of what feels like no return? Reinvigorate your users! You’re not the first organization to have this happen to them. If you were, this eBook wouldn’t have made the list at all, right? 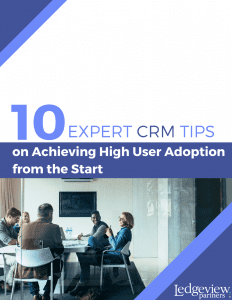 Get things back on track in 2019, and pick up the excitement for your CRM users when you read this expert guide. 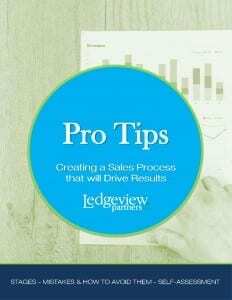 This whopping master eBook guide from Ledgeview is a fan and customer-favorite for many reasons! 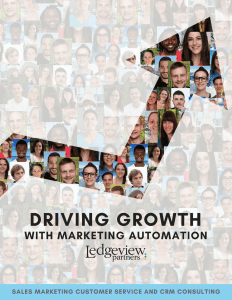 Whatever you could want to know about marketing automation systems, strategies, and best practices, we hope you’ll discover in this eBook. And, if you really can’t seem to uncover the knowledge you’re looking for, consider Ledgeview’s Marketing Consulting Services for further assistance. This eBook makes number one on our list for many reasons! 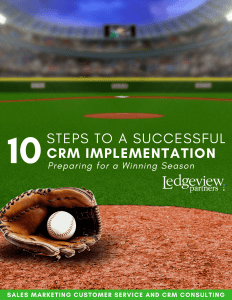 When it comes to preparing for a winning CRM season, Ledgeview has the expert knowledge, advice, insight, and experiences to ensure your success. We discuss everything you should know in order to hit more home-runs with your CRM in this popular expert guide. Did any of these rankings surprise you? Did you guess #1 right? What is your all-time favorite eBook from Ledgeview?